From an outsiders perspective, a fan of Jimmy Owens might see this as a down season for the #20 team. 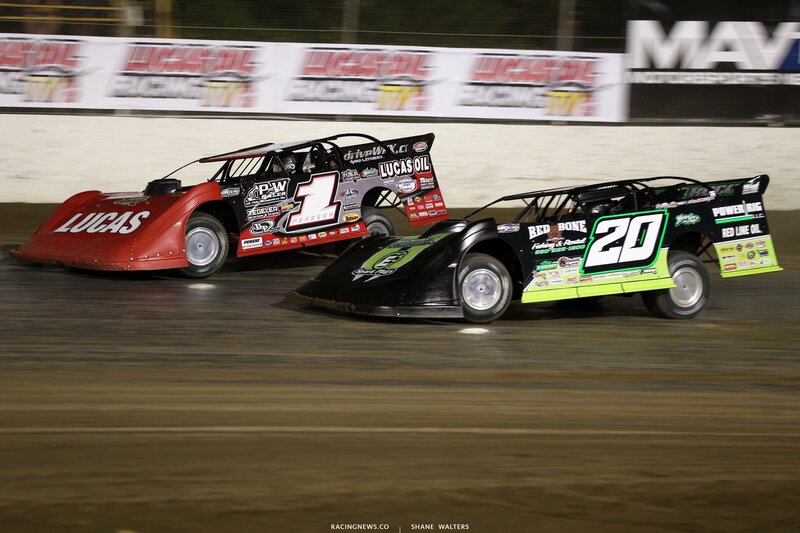 However, if you attended all the Lucas Oil Late Model Dirt Series races in person then you’d think very differently. Jimmy Owens is having a badass season. It’s just they haven’t received the race results to prove it. Port Royal: On April 22, Jimmy Owens led the first lap of the race at Port Royal Speedway in Port Royal, Pennsyvania. He was running in 2nd when a spring popped out in turn one. The Rumble by the River at Port Royal Speedway paid $10,000 to Scott Bloomquist for the win. “Just mechanical issues on the right rear,” Jimmy Owens explains that issue at Port Royal to RacingNews.co .race paid $10,000 to the winner. 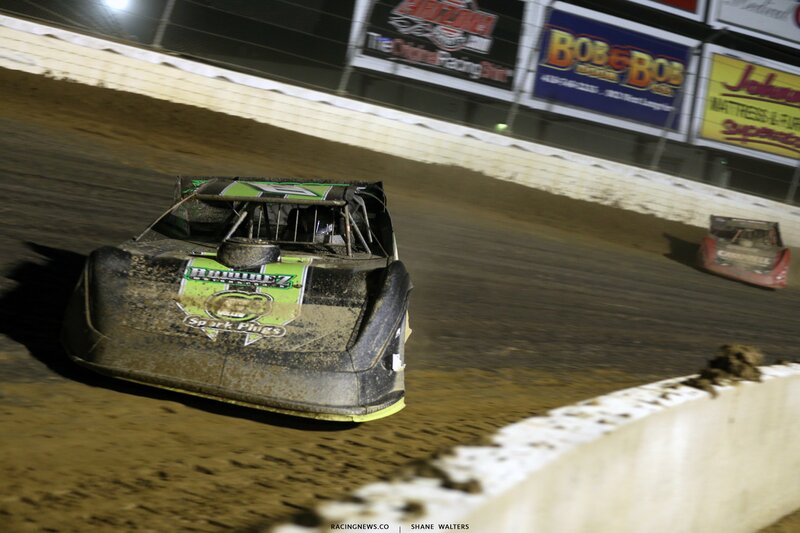 Tazewell: On May 4th, Jimmy Owens was dominating at Tazewell Speedway in Tazewell, TN. He led the first 45 laps before retiring with a blown motor. He was forced to the pit area with just 5 laps remaining in the race. The Toyota Knoxville 50 paid $12,000 to race winner Jonathan Davenport. 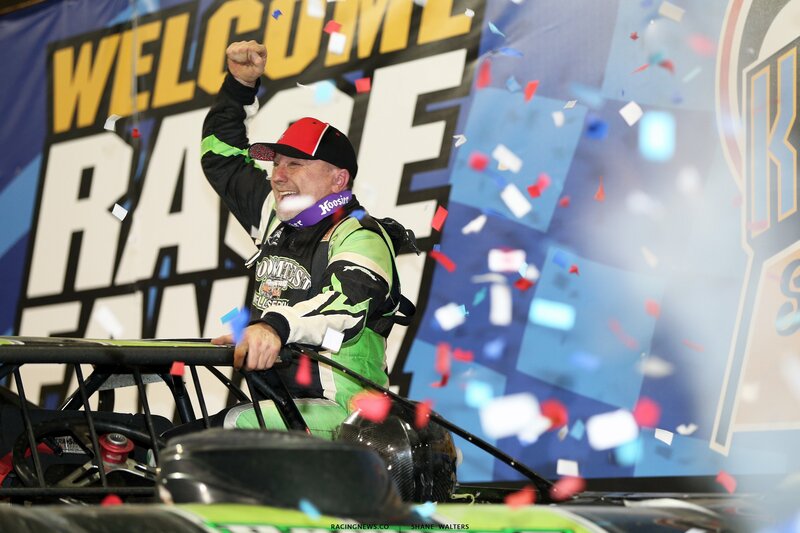 Show-Me 100: On May 25th, Jimmy Owens won the preliminary feature of the Show-Me 100. That prelim night paid just $6,000 to win. On May 26th, he led 61 of the 100 laps of the big one, the Show Me 100 at Lucas Oil Speedway. On lap 69, he was looking under the lap car of Earl Pearson Jr off turn four. Owens pushed up the banking, he turned the car to the left and the rear end stepped out. He was attempting to drive the car down the hill off the corner while making room for Pearson who was still hanging on his right side. Pearson had the momentum off the corner and was looking to swing back around on the outside. As Owens had his right rear sticking out the left rear spoiler of Earl Pearson Jr grabbed onto the right rear spoiler of Owens. That hooked the #20 of Jimmy Owens. Owens went from the lead to parked backwards on the race track. He went to the pit area and came back. Later in the race, he tagged the wall while trying to drive back through the field. Heavy contact on the front and rear of the race car ended up bringing an end to his night. He drove it to the hauler and parked it. 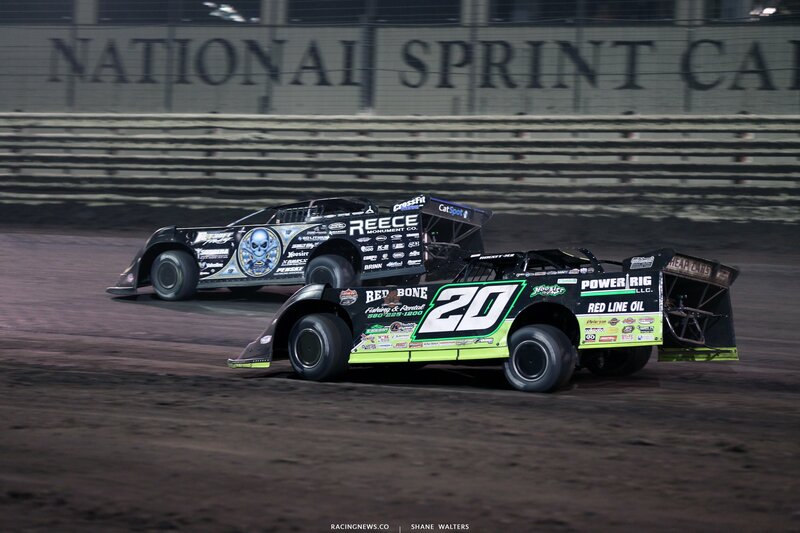 The Show-Me 100 at Lucas Oil Speedway paid $30,000 to race winner Scott Bloomquist. Dirt Million: On August 25th, Jimmy Owens surfaced at the front of the field late in the event. He then went on to drive away by a mile in what was the inaugural Dirt Million at Mansfield Motor Speedway. After leading for several laps, fire started to come out of the exhaust pipes. He remained on the track until it quit. For two laps, the engine was sputtering as the field closed in on him quickly. On Lap 82, Jimmy Owens returned to the pit area from the lead with a blown motor. No caution was dropped, he pulled a tear off and called it a night. “It just goes on and on,” Jimmy Owens stated with a shrug on the never ending mechanical troubles so far. Were the blown motors at Mansfield and Tazewell related? Or no? “No. The one at Tazewell, nothing was really wrong with the motor. 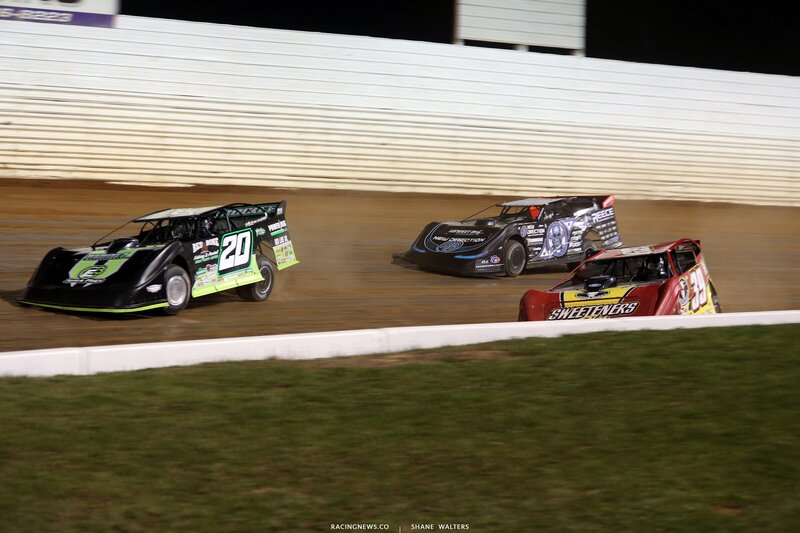 A rock went through the radiator at Mansfield,” Jimmy Owens detailed to RacingNews.co . He finally put it in victory lane. It was his second win of the season, the first non-preliminary LOLMDS win of 2018. Owens won four races in the 2017 season. Jimmy Owens led the last 59 laps of the 100-lap Lucas Oil Late Model Nationals at Knoxville Raceway. He drove by Bobby Pierce on the inside off turn two and cruised to the win. Owens collected the winning check for $40,000. So, for the last couple laps at Knoxville Raceway were you starting to hear noises that weren’t there earlier in the race? Were you waiting for something to go wrong? “Yeah. I just turned the radio up so I couldn’t hear them,” Jimmy Owens concluded.